Julie Payne-Kirchmeier, vice president of student affairs for student auxiliary services, recently contributed to the renovation of several dormitories and dining halls, including the addition of Frontera Fresco to Norris University Center. Her position was newly created this year. Almost a year after starting as the assistant vice president for student auxiliary services, Julie Payne-Kirchmeier is midway through several big projects, focusing on upgrading housing facilities and dining services and revamping the Norris University Center. Payne-Kirchmeier’s position as the head of auxiliary services is new. Patricia Telles-Irvin created the position when she became vice president for student affairs to decrease the number of staff reporting directly to her. Under the new organization, Payne-Kirchmeier oversees residential services, dining, Norris, Student Affairs Information Technology and Saferide. 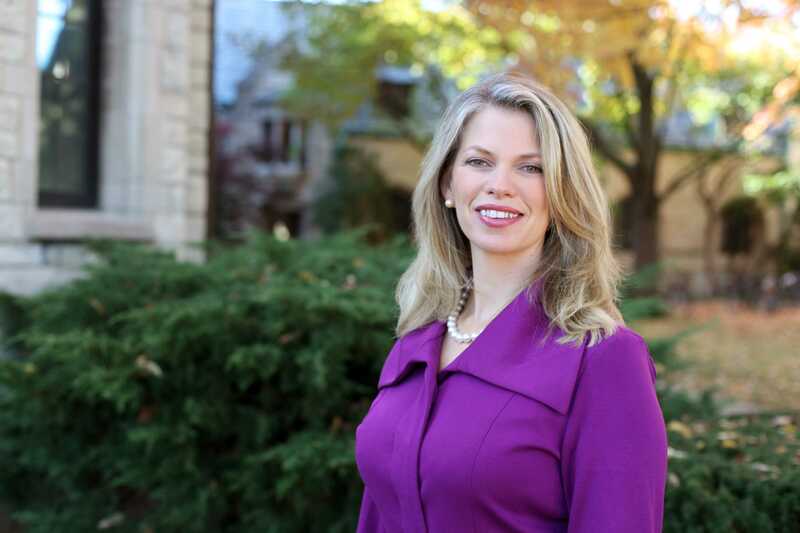 She comes to Northwestern with a long history in many divisions of student affairs. Originally from Texas, Payne-Kirchmeier worked most recently as the housing director and as an assistant provost at Southern Illinois University Carbondale. She moved to Evanston after she and her husband, Tony Kirchmeier, director of off-campus life, were hired in January. Once on campus, Payne-Kirchmeier and her team toured every residential building, all the student affairs offices and Norris from basement to rooftop to assess the state of the structures. She said she saw many potential changes. “We have some facility work to do, there’s no question, with housing and with our university center,” she said. She started by combining the Housing Services and University Residential Life divisions into one Residential Services department and hiring a director. After talking with students, Payne-Kirchmeier helped implement smaller upgrades in the residences. She and Student Affairs were behind many campus improvements, including the renovation and combination of Foster House and the College of Community and Cultural Studies, the revamping of the North Campus quads and the improved lounge spaces in Chapin Hall, East Fairchild and West Fairchild and Foster-Walker Complex. For the long term, Payne-Kirchmeier is working with Student Affairs to create a master housing plan that will map out changes in the residence halls over the next 10 years. She has also been helping lead the plans to gather input and suggestions for the renovation or possible rebuilding of Norris. She helped direct university-hired contractors in collecting data from students, faculty and staff, after hearing from students that Norris was too difficult to navigate, was not aesthetically pleasing and lacked large gathering spaces. Payne-Kirchmeier said that any option is a possibility for Norris. By the end of this calendar year, Payne-Kirchmeier said they should be finished gathering input from the campus community, and the contractors should be finishing up their conceptual plan for the new Norris. She notes that she is particularly pleased with the recent addition of Frontera Fresco to the Norris dining options. She had heard from students about some of the Norris dining options and the Student Affairs office worked to bring the restaurant to campus quickly. Besides Norris, Payne-Kirchmeier has helped implement a new “Dining by Design” system in the dining halls where more food is made in front of the students and the staff is more knowledgeable about what is being offered for the day. With all of the changes she worked to make over the last year, Payne-Kirchmeier said she has made it a goal to get as much student input as possible. She has encouraged the development of a student advisory board for Residential Services and for the dining halls and helped resurrect some that had faltered, like the advisory board for the Norris Center. She is active with many campus student groups, especially the residences associations and Associated Student Government. Residential College Board President Miranda Zhao has met with Payne-Kirchmeier and said she was very engaged with students. Zhao said while presenting plans for the combination of CCS and Foster House at an RCB meeting last year, Payne-Kirchmeier gave students different options of floor layouts and asked them to choose what they liked best. Alex Van Atta, ASG vice president for student life, said that Payne-Kirchmeier was a strong bridge between the students and the administration. She sits in regularly on the student life committee meetings. “She’s definitely one of the most responsive administrators that I have worked with,” the McCormick junior, said. Payne-Kirchmeier has worked with Van Atta and his committee on the new plan for Norris and changes with the residence buildings on campus. He said he has seen a lot of things accomplished in a short time.